For me, the key to successfully managing diabetes has been taking back control of the condition. Setting small and realistic goals and celebrating every success no matter how small the step. Managing diabetes is important. 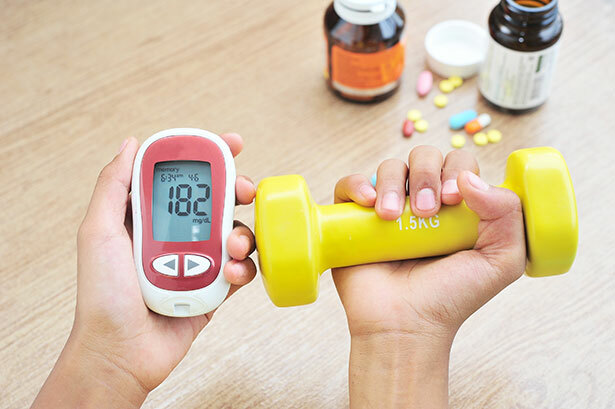 By having well-controlled diabetes, and well-controlled associated conditions such as blood pressure and cholesterol, this can dramatically prevent any further complications. It is possible to live a normal, healthy life if you manage your conditions well. That said, this level of control isn’t easy to achieve and can sometimes feel overwhelming. At the time of writing, January 2018, I have lived with diabetes for just over a year (although I believe I may have had it longer). I currently have good control of all of my conditions, which include diabetes, high blood pressure, and high cholesterol. I manage my diabetes with a healthy, balanced low carb diet. I still get days where I have a “pinch myself” moment and remember that I can never have a day off from these conditions. I have to stick to my strict diet and lifestyle changes religiously otherwise my health spirals out of control. However, I seem to have cracked how to remain controlled. So I have created a list of the steps/principles I live by with the hopes that they will serve as advice for anyone struggling to control their diabetes. Learn what diabetes is and gain an understanding of diabetes management. The unknown can feel very alienating and give the feeling of loss of control. Having a full understanding of your condition and how to manage it gives you back the option of control. Before I became ill with diabetic complications, I was in denial for a few months. I didn’t ask questions. I had no idea what was happening to me. I just nodded at what the doctor said and put it all to the back of my mind. I tried to continue life as if nothing had happened, but deep down, I was feeling depressed and out of control. I didn’t understand anything. Get a print out of your most recent test results from your doctor. Research/ask your doctor what these results mean, so you understand what is happening inside your own body. Set realistic and manageable goals with your doctor to meet the target range for each condition. For example, I had high cholesterol, high triglycerides, and high blood glucose. So I set goals with my doctor to achieve the target ranges for each of these conditions. 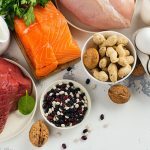 Now that you know what diabetes is, what diabetes management looks like, where your body is currently at, and what targets you should be aiming towards, you can adopt a diet/lifestyle to help achieve these targets. There are various diets/lifestyle options to manage your conditions. You should get your doctors consent when choosing a diet to follow. If you are on insulin, or insulin-producing medication, you will most likely get a meter on prescription. If you don’t have one, I highly recommend purchasing one. It will help you understand your body and how it reacts to certain foods. I recommend testing your fasting blood glucose levels, 1.5-2 hours after meals and before bed. To begin with, I aimed for the NICE recommended blood glucose levels for good diabetes control. They suggest that diabetics should aim for a fasting blood glucose level of 4-7mmol/L and a level under 8.5mmol/L after meals. I was able to test after eating specific foods and eventually learned what would or wouldn’t spike my blood glucose levels. 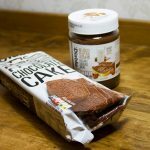 Armed with this new found knowledge, I was able to adjust what I was eating until I achieved the recommended blood glucose control. I now achieve non-diabetic blood glucose readings. I have fasting levels between 4 – 5.6 mmol/L, and I am almost always under 7.8mmol/L after meals, without any diabetic medication. I could not have achieved this without my blood glucose meter, hence why I highly advise testing. I now only test once a day as I am familiar with how food affects my blood glucose levels and I can sense if my sugars are too high. I have learned from months of testing that I can eat around 20g of carbs per meal and my blood glucose levels remain well controlled. If I have 20g+ and do not partake in any physical activity, my blood glucose levels will rise. However, I can eat up to 40g of carbs if I go for a brisk walk or do any physical exercise. These are the kind of useful insights testing can give you, and everyone’s limit will be different. Exercise has so many benefits. It helps with insulin resistance and helps to lower blood glucose levels. At the very least I try to walk after every meal, even if it is just for 10 minutes. On my good days, I will partake in more vigorous exercise. I highly recommend walking after a meal. If you struggle with motivation an idea would be to pick a shop that is about a 10 minute walk away and walk there after a meal. Once you get to the shop, treat yourself to a magazine or purchase a bottle of water for the walk home. The reward can give you an incentive to get up and go. Plus it will help you massively with your blood glucose levels! This is particularly important if you have high blood glucose levels (10 mmol/L or over) as your kidneys will try to take excess glucose from your blood and flush it out in your urine. Drinking more water helps with this process and will prevent you from becoming dehydrated. Your mental health is extremely important. If you are suffering mentally it can cause a knock on effect such as eating recklessly and avoiding medication. Based on my own experiences, I highly recommend speaking to your doctor and seeing a psychologist. I was fortunate enough to see a psychologist who specialises in diabetes care. I found by taking back control, setting and achieving small realistic steps, and seeing my counsellor helped me immensely in managing my mindset. There are a variety of tools available to help manage your mental health. These will assist you in achieving your targets and goals. Eventually, when it seemed realistic, one of my goals was to come off of diabetic medication and remain in non-diabetic levels. I was on insulin and metformin. A couple of weeks after starting a low carb diet I came off the insulin. A few weeks later I then came off of metformin (with my doctor’s consent). I can honestly say that this is one of my most treasured achievements to date. However, I could not have got there if I hadn’t taken my medication in the first place. Getting everything under control immediately is important. It can be easy to want to avoid these appointments, especially if you are worried about the results. It is important to push yourself to go as this is where you will get valuable information to help you understand how to control your condition. You can turn things around, the first and hardest step is facing it. Once you have done that, you are already past one of the toughest hurdles. I found a couple of facebook groups and it helped me to talk to others who were going through similar things. I also engaged with people who had been in my shoes and had moved on to achieve perfect diabetes control. This gave me much needed support and hope. It is wonderful to have people to turn to who truly understand what you are going through. So, seek out your local groups or facebook groups. Alternatively, you can join the Diabetes and Me facebook group which is growing daily.